Wayne: Tell me how food got into the picture? 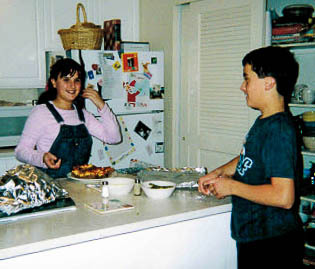 Kelly: Cooking became my hobby after I moved out of my parent’s home when I was 18 and realized this was something I really enjoyed doing – I really loved feeding people. Most of my evenings I would watch cooking shows for fun and they made me hungry, so I started trying new recipes. I always cooked way too much so I invited friends over nearly every night and they loved it. I loved sharing it with them and hearing how happy and how full it made them. Wayne: What does your father do for a living? Provide me with an example how you helped your dad in his new ventures? Kelly: Well, all throughout my life my Dad had many different ventures including a publishing company, recording studio, marketing company, and an independent web designer. My most vivid memory was helping him distribute his Christmas CD titled Boogie Woogie Christmas. My family sat in the living room and assemble cardboard displays and affixed stickers to the CD cases on TV trays while watching Jeopardy. When I was off school for the holidays my mom and I drove to Walgreens stores throughout the North and East Bay and sold them the CDs and provided them a display case for their store. We would return a few weeks later to restock them. Wayne: I notice that you were involved in rotary and a member of the Petaluma Chamber of Commerce. 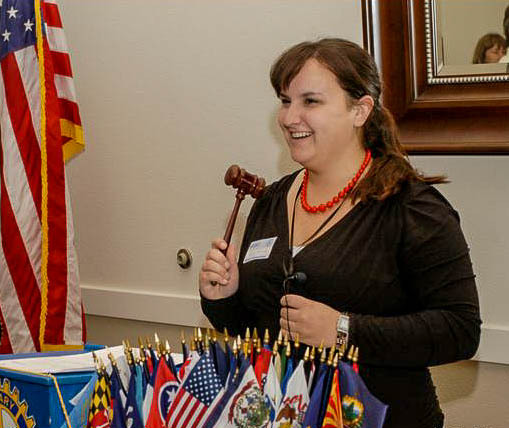 Tell us about what you did in Rotary? Are you involved any clubs now? Which ones? Kelly: Well, my Dad has been a long time member of Rotary. When I was in high school, I headed up the Interact Club which is the high school version of Rotary and participated in a lot of community events with them. I just joined the Petaluma Chamber of Commerce as well as the Petaluma Young Professional’s Network. When Bellyfull continues to expand I will find more time to be more active in these associations. Wayne: How did you first get the idea of Bellyfull? Kelly: The idea for Bellyfull came to be not because of my love of cooking but because of the lack of time I had to actually cook. At 22, I landed a job that was a great opportunity but took up a lot of my time. I’d spend 10 or more hours every day at the office. I really never had time during the week to cook dinner and ended up eating out and making poor food choices for myself. Eventually, it got to the point where I was sick and tired of my options I started thinking there has to be a better way. All I wanted was the food I cook, but I wanted someone else to do it for me – BAM. Problem solved! Bellyfull was born.